Coffee with a Cop brings police officers and the community members they serve together–over coffee–to discuss issues and learn more about each other. The mission of Coffee with a Cop is to break down the barriers between police officers and the citizens they serve. 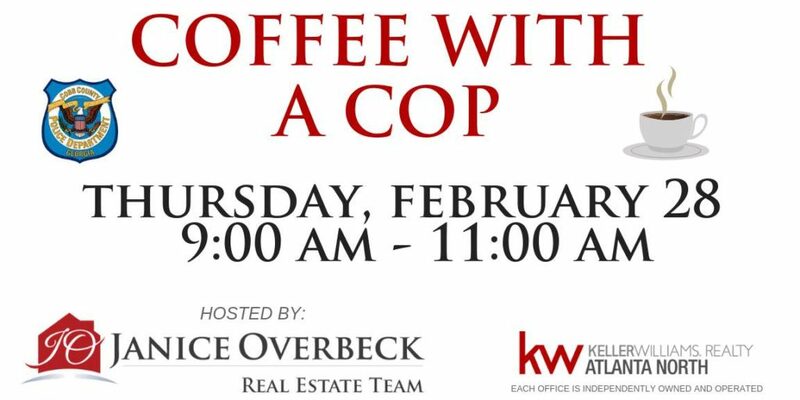 Coffee with a Cop events provide access and opportunity for distraction-free conversations with your local police officers.